With Australians as the world’s most prolific gamblers, the social costs of problem gambling are estimated at $4.7 billion a year, according to the Australian Churches Gambling Taskforce, who have renewed their calls for mandatory pre-commitment measures. President of the Uniting Church, Reverend Alistair Macrae says the social costs of problem gambling in Australia are high with relationship breakdown, mental health issues, unemployment, debt and financial hardship, theft and social isolation contributing to costs estimated at $4.7 billion a year. The Economist magazine reported in May this year that Australians are the biggest gamblers in the world, losing more money per capita than any other country. According to the Economist article, in 2010 Australian adults lost an average of almost US$1,300, beating second place Singapore (nearly $1,200 per adult) and far more than third placed Ireland (nearly $600 per adult). In 2010 an Australian adults lost three times as much as their counterparts in Britain and the United States. 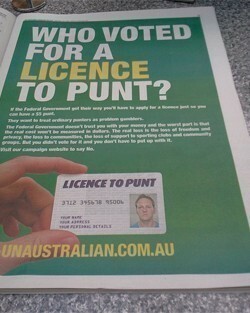 The same magazine ran an article in 1999 saying gambling in Australia had become a ‘chronic disease’, as it looked at the increase of gambling in Australia and the campaign led by Reverend Tim Costello to increase consumer protections for gamblers. Twelve years on and Rev Costello, now the Chair of the Australian Churches Gambling Taskforce, is still fighting Australia’s gambling addiction. Rev Costello says with 90,000 problem gamblers losing an average of $21,000 each a year, gambling in Australia is a huge issue and more power needs to be given to the consumer so they can set their loss limits. Rev Costello says consumer protection measures like the pre-commitment scheme will help consumers to choose and stick to their own gambling limit, which can be as high or low as they like. Tasmanian independent Andrew Wilkie gave his support to the Gillard Government in the washup of the 2010 Federal Election on the condition that a mandatory pre-commitment system for problem gambling be introduced. Wilkie says he is confident this will happen by 2014. The Churches face stiff opposition in their bid to tighten gambling laws, with poker-machine industry supporters funding a reported $21 million campaign against the move, including radio, television, print and online advertising. The opponents say pre-commitment will lead to job losses in the thousands, and multiple millions in revenue losses. The opponents to pre-commitment measures say there is no evidence to suggest it will protect consumers from big losses, however Rev Costello says if people accept the argument that something shouldn't be tried because it hasn't been implemented anywhere else, then nothing would ever change. Rev Costello says the same argument was used in an attempt to stop car seat belts being made compulsory in Victoria in 1970, a move which led to a dramatic decrease in road deaths. The Australian Churches Gambling Taskforce says only 600,000 Australians play poker machines on a weekly basis. However, 15 percent of the people who play poker machines are problem gamblers and account for 40 percent of the expenditure on the pokies. Rev Alistair Macrae said each year thousands of children suffer because of the impact of someone’s poker machine gambling, with problem gamblers each affecting at least one child and adversely impacting on 10 others. Rev Macrae says three quarters of severe problem gamblers play poker machines, and it’s possible to lose $1,500 an hour on high intensity machines. The Catholic Bishops of Australia have put their weight behind the campaign too, saying in a statement that Catholic welfare agencies all too often see the human damage caused by poker machines. The Bishops say they condemn gambling where it can be conducted responsibly; but add that problem gambling is never responsible. Nor is it in any way acceptable that a large percentage of gambling profits come from problem gamblers. So how would pre-commitment actually work? Gamblers would have to apply for a gambling card before playing a gaming machine, on which they would nominate their maximum daily/weely spending limit. The person gambles, their losses are recorded, and once they had reached their own pre-determined limit, the player would be no longer able to gamble during that period. The card would have the person’s identification recorded on it, and each person would only be allowed one card. Mandatory pre-commitment was recommended by the Productivity Commissions public inquiry into gambling, which was delivered to the Federal Government in 2010. The Australian Churches Gambling Taskforce is calling on all states and territories to sign on to legislation that will ensure all gaming venues have mandatory pre-commitment technology in place by 2014. The main opponents to mandatory pre-commitment are ClubsAustralia, the organisation of club associations representing 4,000 clubs across Australia, and the Australia Hotels Association (AHA), which represent 6000 hotels. 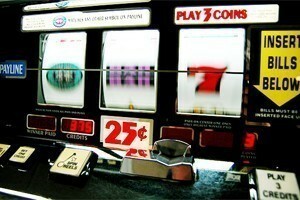 Establishing a national, independent Australian body responsible for investigating and compiling gambling research and statisticsClubs Australia argues that clubs – which depend on poker machines for a large portion of their revenue – are grass-roots, Not for Profit community organisations, owned by members. 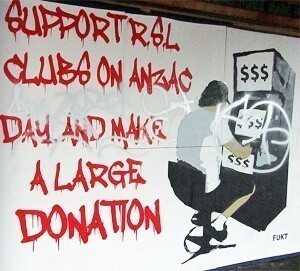 ClubsAustralia says it supports the introduction of voluntary, venue-based pre-commitment, rolled out over ‘the natural life cycle of the machines’. Rev Alistair Macrae told ABC radio’s Inside Business that there is hard research showing that voluntary pre-commitment is ineffective, with research on voluntary pre-commitment indicating that it's successful in about 1 per cent of cases. Introduce a blanket ban on all forms of credit card gambling. Establish uniform harm minimisation strategies that apply across the industry. Require RCG (Responsible Conduct of Gambling) refresher courses for all frontline gaming staff. Integrate gambling education into the school curriculum and give greater emphasis to counselling services and family interventions. Establish an expert advisory body, staffed with leading academics, representatives from the Government and industry. The aim of this forum would be to develop successful policies to further reduce the rate of problem gambling.